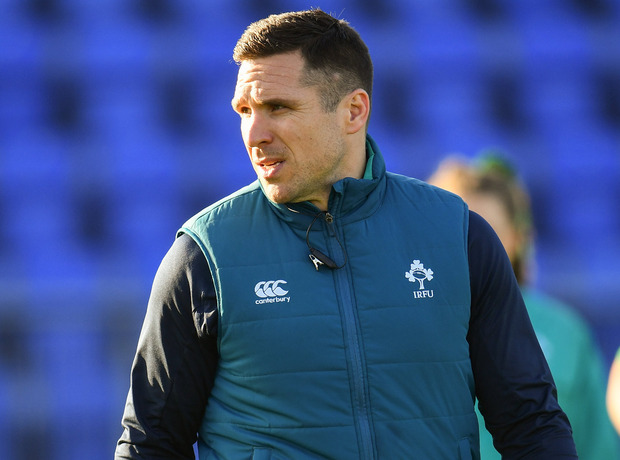 The Ireland Women can help further banish the painful memories of their opening Six Nations defeat to England when they take on Italy this evening before the pressure is cranked up another notch ahead of the visit of France to Dublin in two weeks' time. Adam Griggs' side showed admirable character to bounce back against Scotland and they will be expected to build on that momentum despite Italy enjoying an unbeaten start to the tournament. There were plenty of encouraging signs against Scotland a fortnight ago as key combinations such as Michelle Claffey and Sene Naoupu in midfield, as well as Aoife McDermott and Nichola Fryday in the engine-room, looked more settled. Ireland have a new-look half-back partnership for the trip to Parma as Ulster scrum-half Kathryn Dane comes into the team alongside Nicole Fowley. Dane, an Enniskillen native, previously played underage soccer with Northern Ireland up to U-19 level. An intelligent footballer, Dane is eager to make an impression on her first Six Nations start. "There's girls in other clubs, the likes of Mary Healy (Connacht) and Nicole Cronin (Munster), and they're players I look up to as well from playing against them in the inter-pros," Dane said. "They're very strong nines but we all work together and rub off each other as much as we can. "Unfortunately, with their injuries they've been ruled out so I need to take my opportunities and step up. "I played with the lads from U-8 level at the local club, so I've always played with boys and always been doing kicking practice and passing practice with the boys, so I've tried to take as much from that as I could." Italy will be full of confidence having beaten Scotland on the road before grinding out a 3-3 draw with Wales. But Ireland have nothing to fear and with Claire Molloy shaking off an injury to start in the back-row, the girls in green have enough quality to make it two wins on the bounce. Italy Women - M Furlan (capt); A Muzzo, M Sillari, B Rigoni, S Stefan; V Madia, S Barattin; F Giacomoli, M Bettoni, L Gai; V Fedrighi, G Duca; I Arrighetti, E Franco, E Giordano. Reps: L Cammarano, S Turani, S Tounesi, V Ruzza, F Sbrena, F Sgorbini, J Busato, C Sarasso. Ireland Women - L Delany; E Considine, S Naoupu, M Claffey, A Miller; N Fowley, K Dane; L Feely, E Hooban, L Lyons; A McDermott, N Fryday; A Caplice, C Molloy, C Griffin (capt). Reps: D Nic A Bhaird, L Peat, F Reidy, C Boles, C McLaughlin, A Hughes, E Murphy, L Sheehan. Sinéad Kissane Ireland international Aoife McDermott had just arrived home from training with Railway Union RFC on Tuesday night when she saw the news.